The last time we caught Of Montreal live, at Filter’s Culture Collide festival in LA in October, they played an epic, career-spanning set that doubled as a really weird, awesome party, with confetti and a cavalcade of costumed characters. 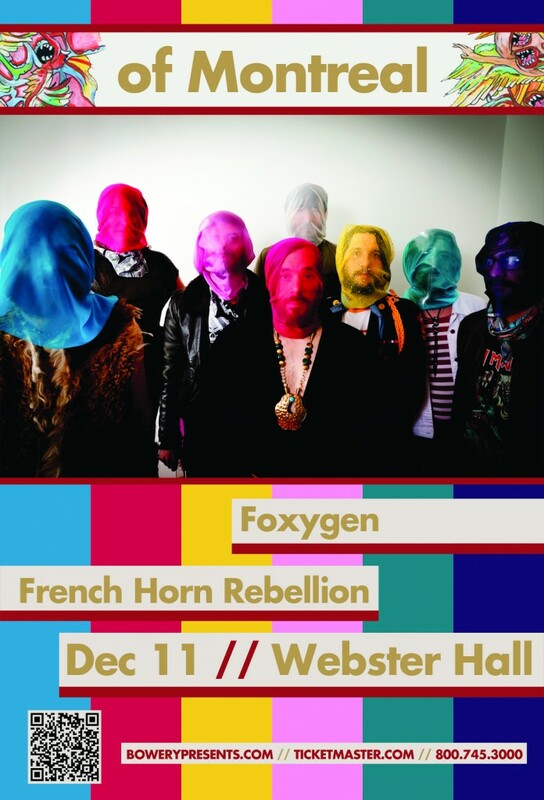 They’ll be in NYC on December 11th, and we’re excited to see what they have planned. To win 2 tickets to the show, email contests@theowlmag.com with your full name in the body and “Of Montreal @ Webster Hall, NYC” in the subject line. Good luck! If you’re not into pressing your luck, you can always buy tickets .